CGFA issues National Rankings Survey. The December 2018 year-end report, compiled by the Commission on Government Forecasting and Accountability (CGFA), is intended to show how the state of Illinois compares with the other 49 states in various population, revenue, and spending categories. These comparisons are especially significant when Illinois is compared to other large, urban states such as Ohio and Pennsylvania, and with the neighboring states of Indiana, Iowa, Kentucky, Missouri, and Wisconsin. Illinois, ranking 6thoverall with 12.8 million people, is one of the 10 largest states in the Union. However, unlike the large states of Florida, Georgia, and Texas, Illinois’ population is slowly shrinking as workers and retirees move to the “Sun Belt.” The state’s population is set to drop by approximately 45,000 residents in calendar year 2018. Illinois is a high-tax state. Its personal income tax rate is 4.95%, its sales tax rates approach 10% in many jurisdictions, and its property tax burdens are ranked at either the highest or the second-highest in the nation (property taxes are also high in New Jersey). The “National Rankings” report contains significant quantities of data for Illinoisans to learn more about these facts and the realities behind them. The report was released on Tuesday, December 18. Illinois State Police describe new guidance for families concerning child car seats. For most families, the most important feature of the new guidance from Illinois law enforcement is the requirement that all children under the age of two, who are traveling in a child-restraint system in a moving motor vehicle, be placed so that the seat is facing backward. The new requirement responds to crash-test-dummy research that shows that relative to the movement of a motor vehicle, being in a child-restraint system facing backward is the safest place to be. The child-restraint requirements will become law on January 1, 2019, but the State Police urges that parents adopt this new practice immediately. Children from their second birthday to their eighth birthday must be secured in an appropriate child restraint system in the same way as under current law, but in contrast to babies and very young children they may face forward. Legislative Ethics Commission selects new Legislative Inspector General. The Office of the Legislative Inspector General has responsibility to investigate allegations among members of the General Assembly and their staffs. 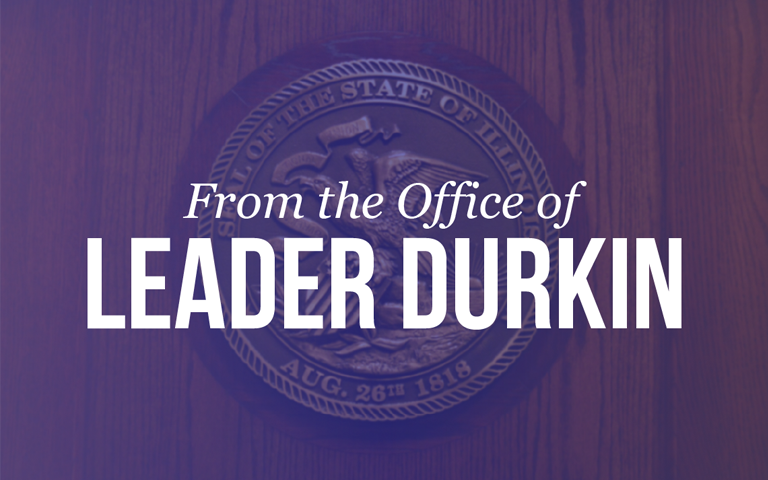 General Assembly members, staff members, and the public have the right to report alleged examples of wrongdoing, including violations within the legislative branch of the Illinois Governmental Ethics Act and allegations of sexual harassment. The Legislative Inspector General has the duty to examine these reports and take action. The Legislative Ethics Commission, a panel of lawmakers from both parties, has the duty to oversee transitions in the Office of the Legislative Inspector General. The current holder of this position, Julie Porter, has been working intensively at this position for much of calendar year 2018 on a temporary basis as the Office has dealt with a significant number of sexual-harassment charges and allegations. Porter has signaled her preparations to return to full-time work in the private sector, and the Ethics Commission has conducted a two-month search for a replacement. The Ethics Commission has slated former Circuit Court Judge Carol Pope as the new Legislative Inspector General-designee. Pope served as a judge in Menard County, Illinois, until August 2017. With 17 years of service as a circuit judge, her work included nine years of service as an appellate justice in the Fourth Appellate District. As a retired judge, Pope is a current member of the Illinois Judicial Ethics Committee, which advises judges on ethical questions that may arise. The Commission’s choice will need to be ratified by votes of the Illinois House and Senate. The Legislative Ethics Commission is chaired by House Republican Rep. Avery Bourne, who expressed strong support for the Inspector General-designee. Bourne noted that the duty of the Legislative Inspector General is “to make sure that there is restored public confidence, and also confidence within the Capitol in this office… that it is operating and that it is fair.” Retired Judge Pope’s selection was announced on Tuesday, December 18. Computer science degree count places Illinois 2nd among 50 states. Illinois’ higher education sector is ahead of all of the states other than California in the count of high-tech degrees awarded to college graduates. Approximately 10% of the U.S. college graduates getting degrees in this key field are getting them from Illinois colleges and universities. With regards to the STEM sector as a whole – science, technology, engineering, and mathematics professions as defined by the U.S. Bureau of Labor Statistics – Illinois ranks fifth nationally in the size of the STEM workforce and the number of STEM degrees awarded. In each of these subsectors, Illinois graduates are moving towards fields involved with “data science” or “big data,” the statistical analysis of large quantities of data to develop productive meta-analyses. Illinois STEM employment is a rewarding job sector, with average salaries of more than $79,800. The analysis, by the Illinois Science & Technology Coalition, cautioned readers with regards to the ability of STEM-related and data-science-oriented career pathways to reduce discrepancies between geographic and social groups, in Illinois and throughout the U.S. STEM graduates tend to come from stable families and to be young people who prefer to live in large metropolitan areas. Within Illinois, the Coalition found that a disproportionate number of this group of young adults look for jobs in greater Chicago or in Champaign-Urbana. Chicago was a favorite destination, Champaign-Urbana ranked #4, and other high-ranking destinations were large metropolitan areas on the East and West Coasts. November unemployment rate unchanged for Illinois. Nonfarm Illinois payrolls increased by 5,900 jobs over October 2018, showing continued success for the Illinois economy in generating a record number of paid jobs. The unemployment rate remained at 4.2%, unchanged from October to November, but 0.7% better than the 4.9% figure posted one year earlier in November 2017. The report from the Illinois Department of Employment Security (IDES) indicated that Illinois’ job picture continues to slightly underperform the performance of the U.S. as a whole. While the key jobless figure was 4.2% for Illinois in November 2018, the corresponding figure for the U.S. as a whole was 3.7%, a number signaling “full employment” conditions in many regions of the country. The Department’s numbers are based on job reports and unemployment insurance contributions paid by employers, who are required to report frequently to the Department on the headcounts of employees throughout Illinois. The positive side of November 2018 job trends were concentrated in professional and business services. This sector generated a net 4,100 of the 5,900 new jobs generated throughout Illinois in the calendar month. Educational and health services generated a net of 2,700 new jobs as the health care sector continued its net hiring. Vulnerable sectors include the fields of construction, manufacturing, and information. These three sectors yielded a total of 3,200 net jobs lost in November 2018. The IDES report was published on Thursday, December 20.